This is to announce the availability of MyDSLWebStats v 1.0, a free to use collaboration project between the Kitz and ThinkBroadband Forum users BaldEagle1, tbailey2, RONSKI and roseway. 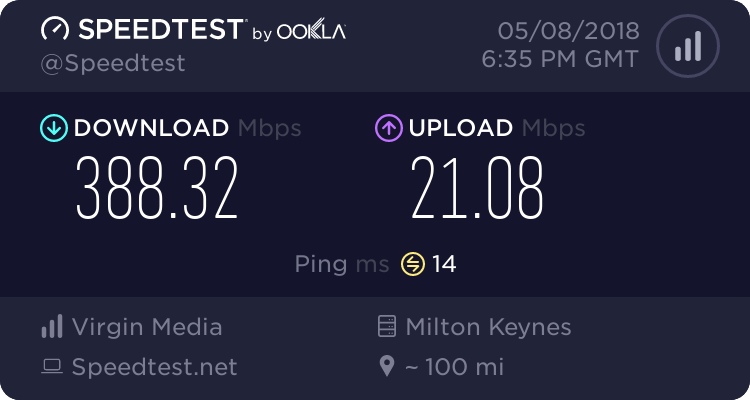 With the right equipment and software to automatically upload data to the server via a Windows PC, you can then monitor your own DSL Line statistics from home or anywhere in the world using MyDSLWebStats on any browser on a Mac, PC or Tablet (a specific Android/iPhone app is an unlikely prospect currently). Linux should also be available but via DSLStats later. The idea behind it was to enhance and expand the statistics that BaldEagle1's HG612 Modem Stats collects by putting the data collected from the modem into an online, internet based database. This means that just about anything you want to know about your past and current connection history is potentially available without having to store masses of graphs and images and wade through them to locate what you want! The modem data is automatically stored on a new dedicated remote server and accessed via the MyDSLWebStats Home page using the Registration/Log On system. MyDSLWebStats can display a summary of your connection details in real time (in the same way as roseway's DSLStats does - and Eric is in with us on this project for his application) and, depending on various factors, you will also be able to view other users' data (and see it updated in real time if the data is current) as well for comparison. Multiple panes (see attached image) allow you to carry out several monitoring or investigative tasks at the same time. Our Home Page has more details. There is no extensive help yet (under development) as it is still being developed but there are various hover-help icons scattered around that will give some guidance. Please post queries/bug reports etc to this thread on this forum and someone will answer when we have time. There are currently some 17 different data graphs available (more get added quite often) - the restriction on what is available is by the data that is currently uploaded. What you can do is look at any of the timeline graphs available for today or a period of many days in the past on a LIVE basis updating every minute or a period of your choice. Then you can choose any two dates between the first available and last available and see a summary graph of the whole period (1st Jan 2014 to today in one case). Clicking on a point of interest will zoom in on many graphs - right down to a period of a couple of hours or so very quickly. All interactive graphs and charts are courtesy of Google Charts . Note that they do NOT look like those you may be used to from current applications themselves due to limitations within the system and the way we present the data but they do suit their purpose. The only graphs that are not available per minute are the tone related ones - Bits/Tone, Bits/Tone SNR, Hlog and Quiet Line. They are available every 15 mins of the hour for 2 days, then every hour for 4 days and then once per day (this may well change). If interested, please have a look at www.MyDSLWebStats.co.uk. There is guest access by following the links if you don't have a Log On. Guest access is intentionally very limited with only a few stats graphs available and one live line to monitor. Log Ons are currently available after Registration but we may put a restriction on these temporarily! There is a limit of 10 characters on a User Name so you may need to adjust yours if you want to use one similar to your forum name. A Log On gets you full access to various users who have data on there - tbailey2 and BaldEagle1 are currently live along with five other users. To actually get your data up to the server needs a modified executable file that will be supplied as part of the GUI install/update of HG612 Modem Stats (not currently available at the time of posting though and will be v 4.0). Note that this is a Windows executable and thus needs Windows to run under. However, Eric is currently working toward providing the same stats via his DSLStats program for both Windows and Linux users. ALSO PLEASE BE AWARE that you are uploading data and also downloading a small amount. We estimate it at about 30MByte per month currently for the basic modem log that provides the majority of the stats but this increases quite a lot if you upload the additional optional Bits-related files. If you have limited bandwidth and your ISP includes uploaded data in the total then please keep an eye on what you are using. The system can handle both ADSL (limited tests so far currently) and VDSL2+ systems - up to 80/20. Just a quick note as I'm at work, I've released a beta update to the GUI interface which allows entry of the required settings, simply use the automated update feature with beta updates enabled. Any problems with the GUI side of things please post in that thread. Please note BE1 has not yet released an update to enable the stats to be sent to the server. registration doesn't appear to work, just says required symbol char missing with no indication of where. also the captcha is useless, it's unreadable. I've added the fact it's the password it's missing from in the error response so thanks for pointing that out. The captcha appears to work okay (unless you have cookies disabled when it will never work) and others have registered successfully, one while I was typing this. It's not designed to be easy else there would be no point in having it (I reckon it's much easier than the Kitz one myself). We've already had one brute force attack on the Registration earlier this morning and captchas help to defeat them. If you request a new image you'll get one that is much easier to read at some point if you are having trouble. The length varies to confuse automated attempts. We hope to have the required new executable available in the next few days and it will be installed via the GUI as RONSKI pointed out. I know what captchas are for, but when they're unreadable by humans they fail to fulfil their purpose and become a frustration. I also think your password policy is a bit restrictive. Requiring symbols is fine, but why limit it to those 4 only? There's a whole keyboard full of symbols that can be used. Personally I found some of the captcha's hard to read (as I do on other sites), I have a very hi res monitor and glasses, but I just refresh the image until I find one I can read. Also I find the password requirements a lot stronger than a lot of other websites that should be stronger. A bug fix: users may have noticed a long delay between hitting the manual Update button and anything happening. Cause has been found/fixed and a manual Update should now be virtually instantaneous as far as starting to load the graph goes. make my line the freebie for guest users its a circus today. A note for new Registrations. You won't see yourself in the selectable User list as you don't yet have any uploads. Once the new V4 executable is available and set up via the GUI, you'll be able to upload. As you'll want to see your own data as soon as possible, be aware that the system checks the user list for new uploads every 3 minutes and at around 30 seconds into that minute. Users with new uploads are then added to the selectable list when it's next refreshed either via Update or through changing one of the other parameters available. Once uploading the graphs won't make a lot of sense until after about 15 mins. The Stats Summary at the top of the pane will update very quickly though if you are watching your own stats. BE1 has now released V4 beta programs which will enable the upload of data to My DSL WebStats. To download this please ensure you have beta updates selected, and then check for and install updates. You'll also need to ensure that you've correctly entered your settings for My DSL WebStats. Once the new programs have been running for 15 minutes you should be able to see data starting to appear on the website.